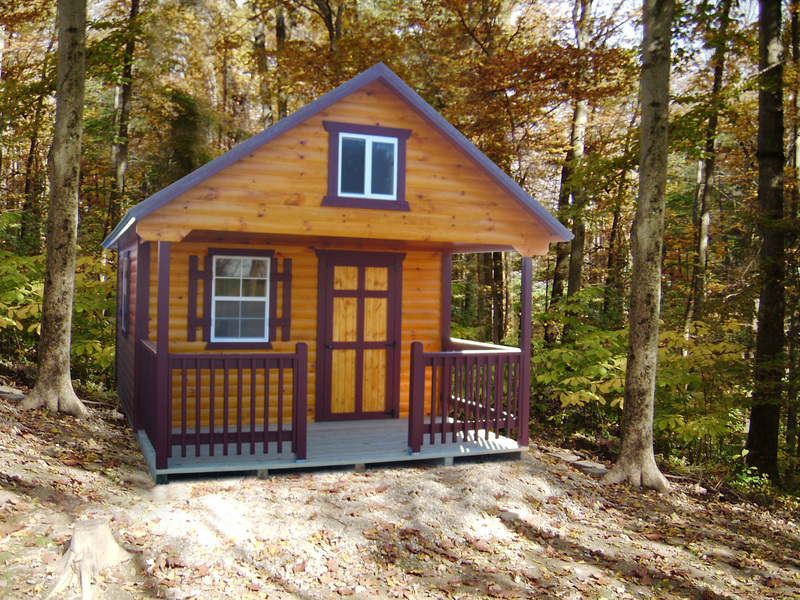 The A-Frame Cabin is just like our Cabin in layout, yet it is unique because of the 12/12 pitch roof it gives you all the space you need for sleepovers at the lake, pond, or hunting grounds. 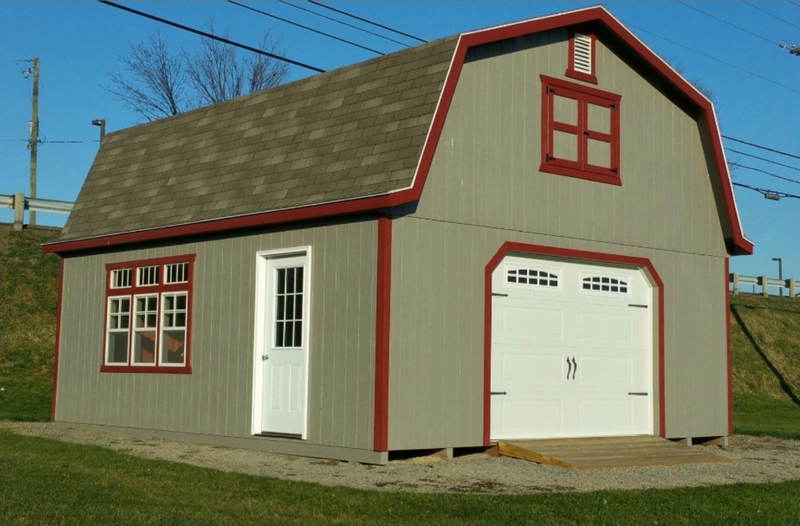 From the time Miller's began building barns, the barn style has been the key player in offering quality storage solutions. 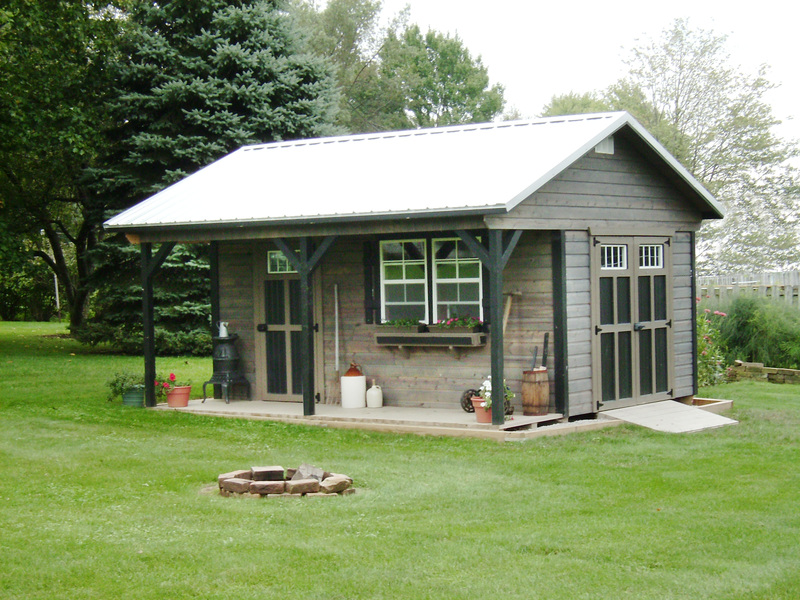 A barn built with your budget in mind. Floor: 3/4" CDX Treated plywood with 2"x4" treated joists 16" O.C. 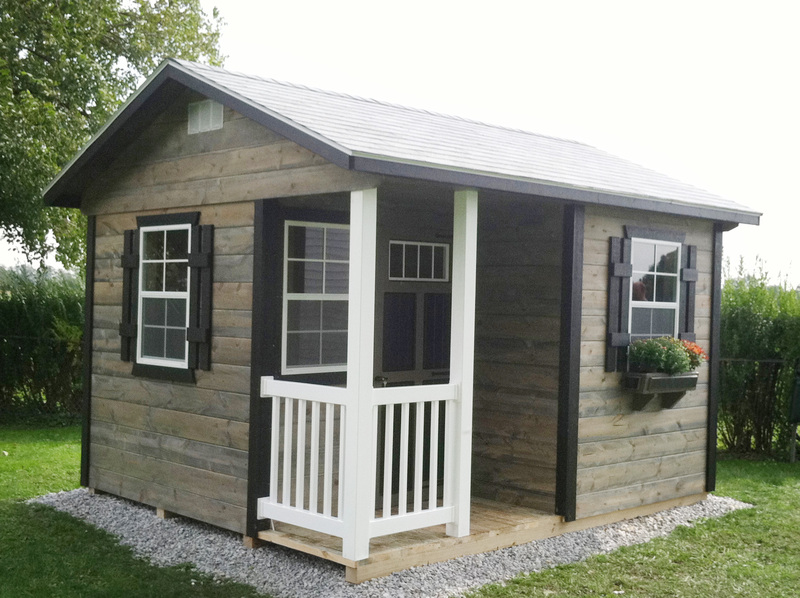 Features: Floor: 3/4" CDX Treated plywood with treated 2"x4" joists 16" O.C., primed L.P. Smart Siding with wall studs 24" O.C., 7/16" OSB roof sheathing. 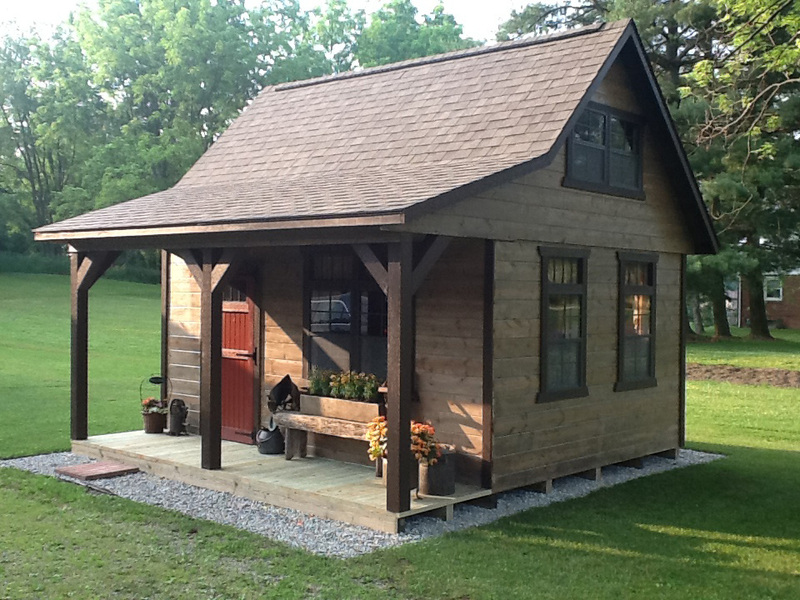 Miller's Cabins are Gable buildings with an additional 4' wide porch. It is functional yet very attractive, adding beauty and value in a wide variety of applications. A better chicken coop. 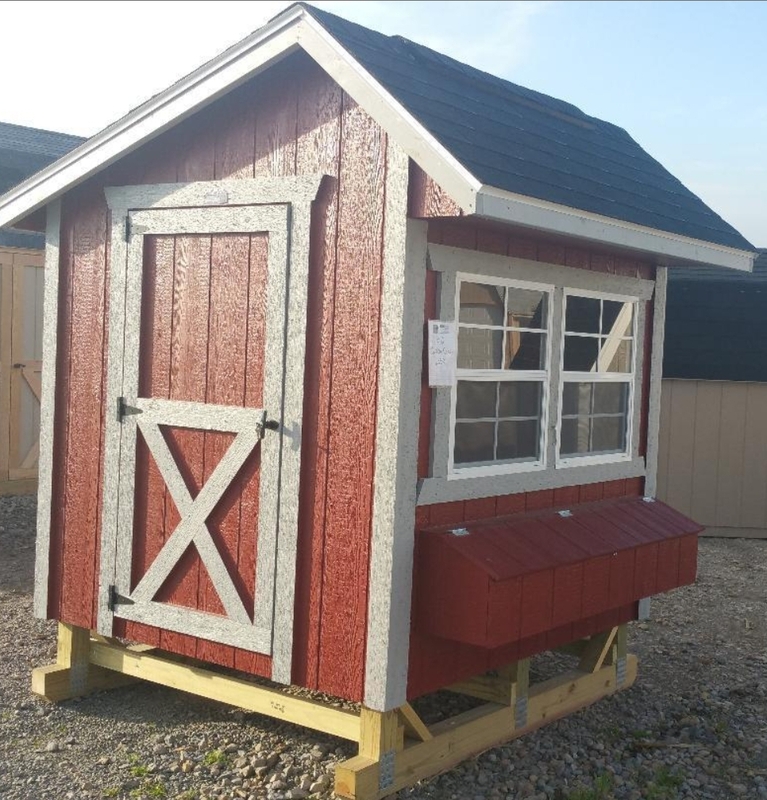 Our chicken coops excel because of Treated runners 3/4" treated plywood floor, L.P. Smart siding with a 50 year warranty, Interior partition. 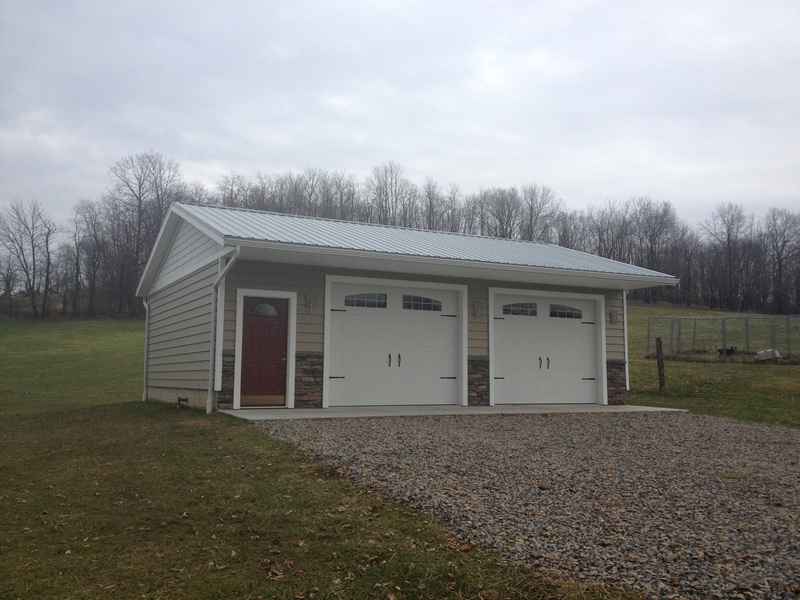 The Miller Garage will provide a quality, yet cost effective"home" for your vehicle... all year long. It could also be that long awaited workshop. 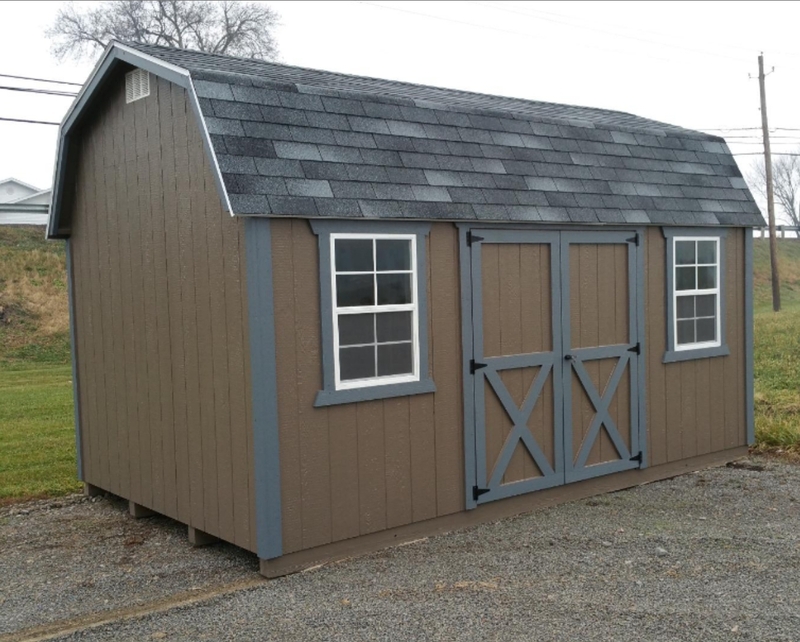 Gable buildings are built with the same quality components that are used in our barn styles, with the exception of the 2"x10" top wall plate. 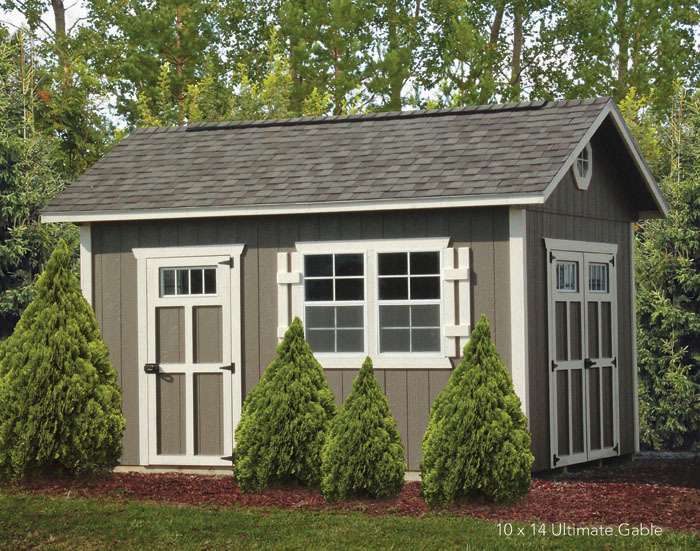 Do you need a place for your garden tools and mower? 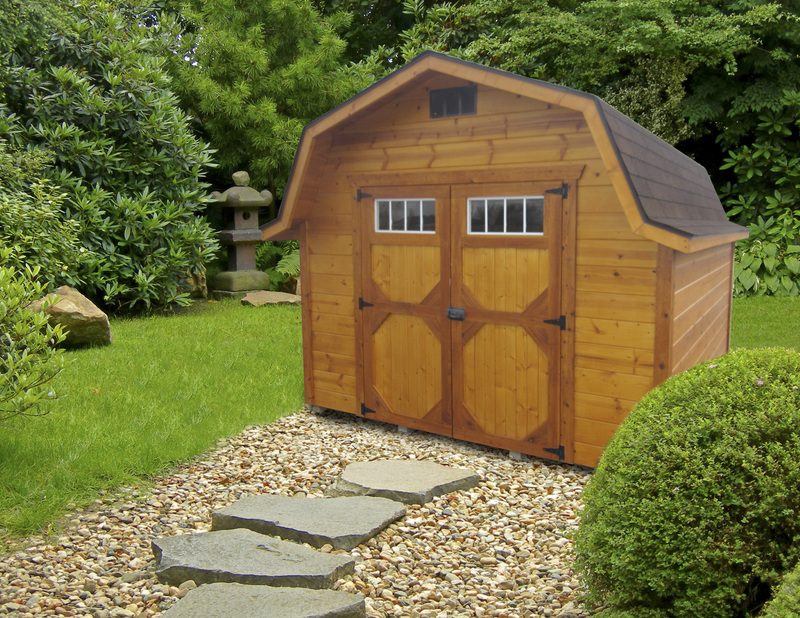 This would be the perfect garden shed for you. 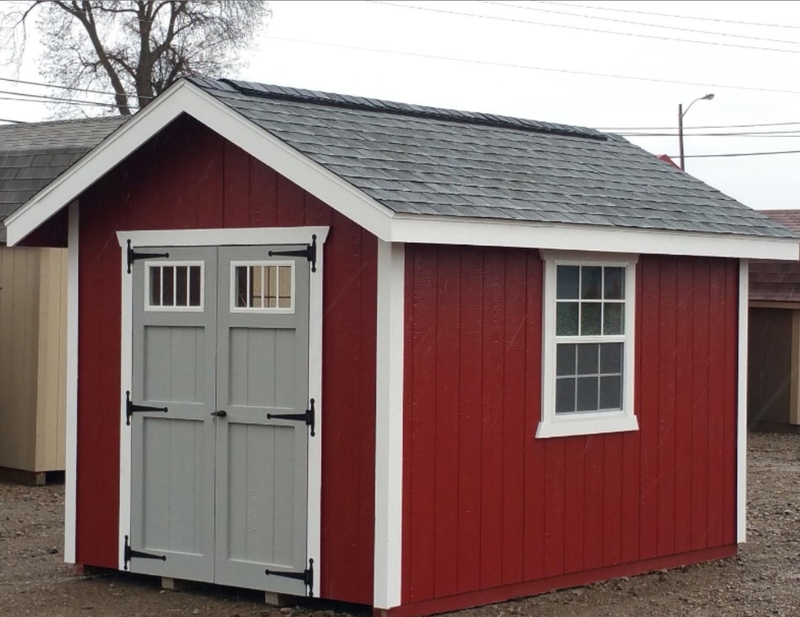 2"x6" T&G treated floor, 8' Tall sidewalls, 2"x10" Top wall plate, 2"x6" Roof trusses, 2"x6" Fascia, One 36" steel entry door, One set of 67"x72" double wooden doors, Full loft/2nd floor with stairway, Full ridge vent. 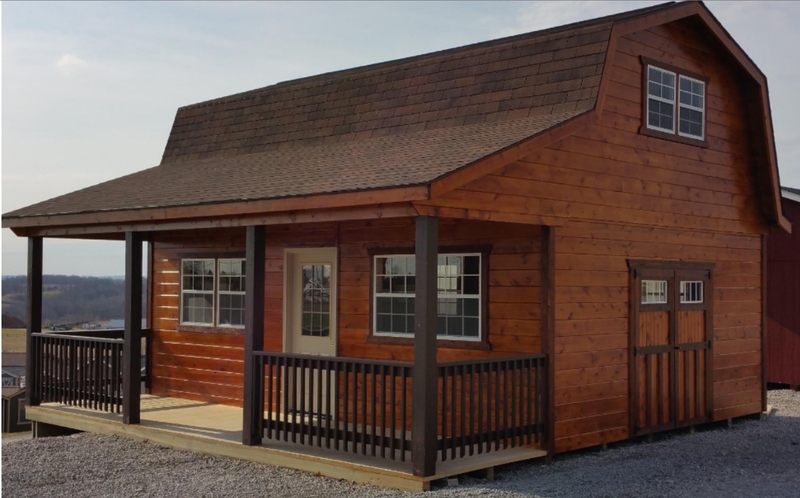 Our Hi-Loft Porch Barns employ all the quality components of the Hi- Loft Barns, with additional 6' - 10' wide porches along one side. 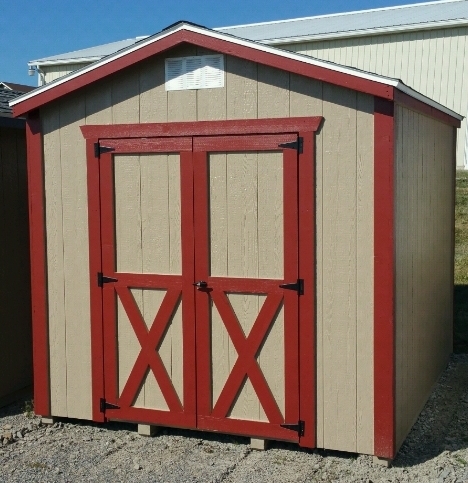 The Hi-Wall Barn has the same quality features as the Miller's Barn Style, but with 7' sidewalls (78" wall studs) allowing door placement in the sidewalls, as well as in the end. The Outback... for those who love or long for an outback look. A simple appearance reminding one of a by-gone era. 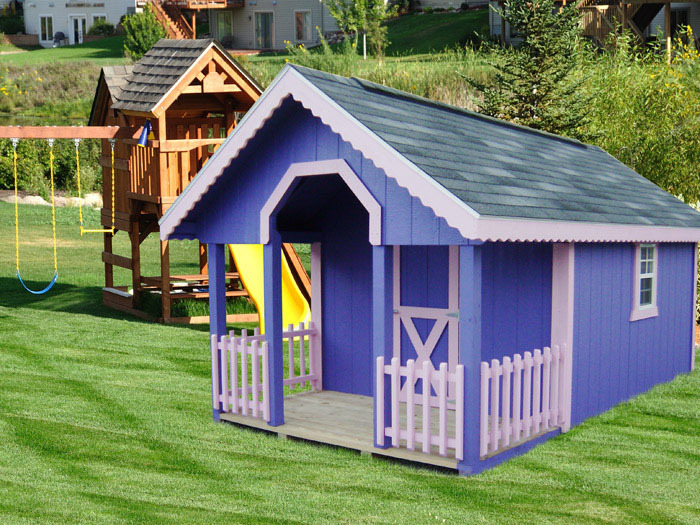 An attractive outdoor playhouse to entertain your children all summer long and provide winter storage in the off-season. 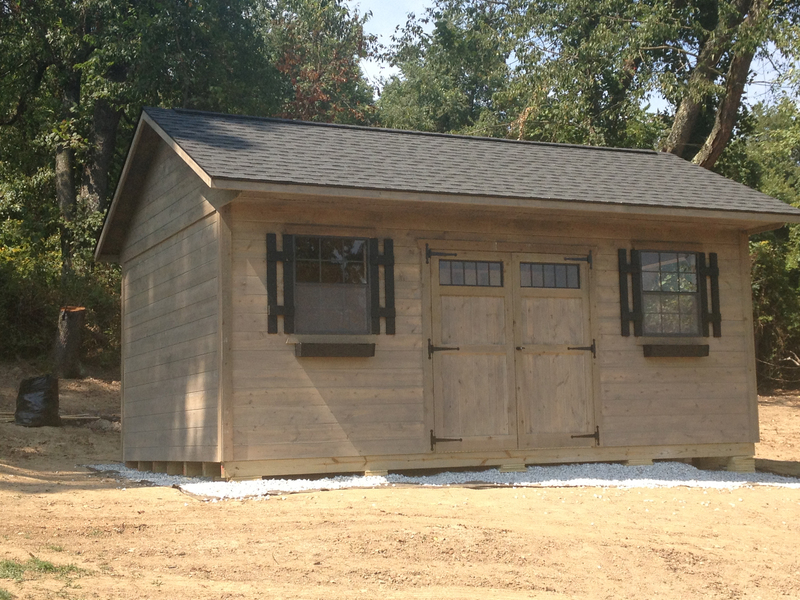 Our Hi-Wall Barn with an added touch - a 4' porch along one side. Fully functional with an upscale appearance! Designed with a green thumb in mind, the Potting Shed is a potter's delight. 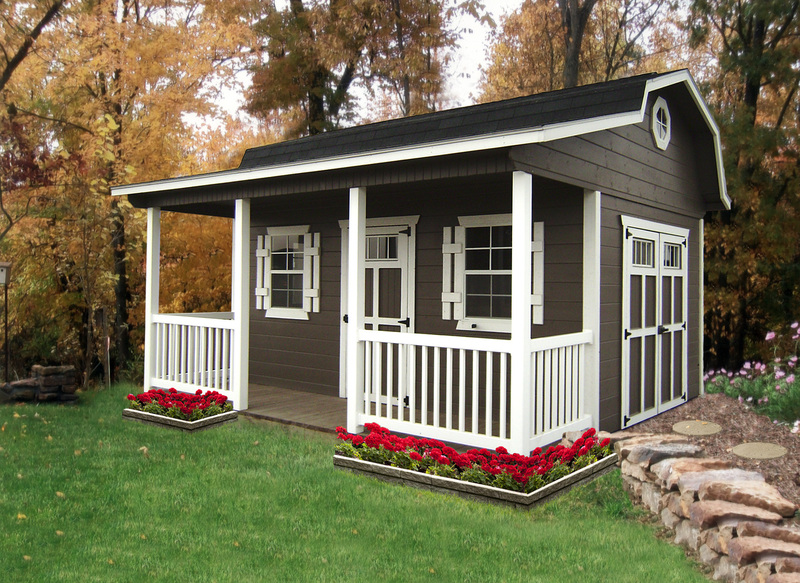 Included are three shelves, a 6-12 roof pitch, double doors, and a full ridge vent. 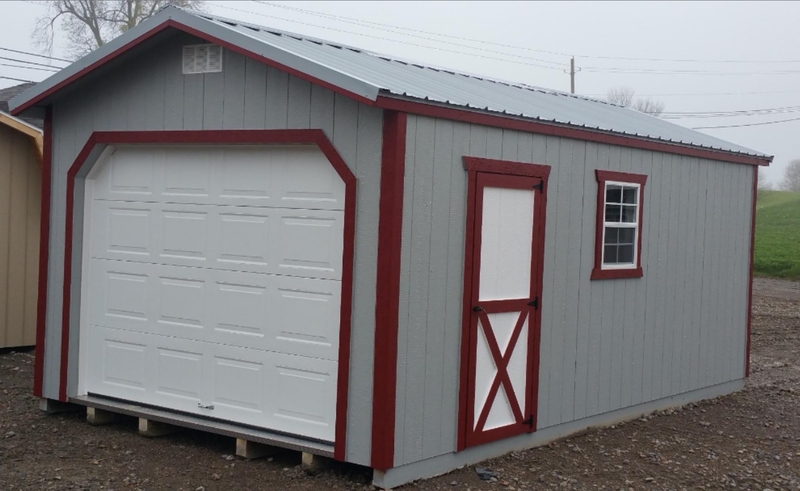 The Miller Quick Garage & Quick Barn were developed to be just what the name implies, a quick yet efficient way to house your truck, boat, cycle or whatever needs a dry place. 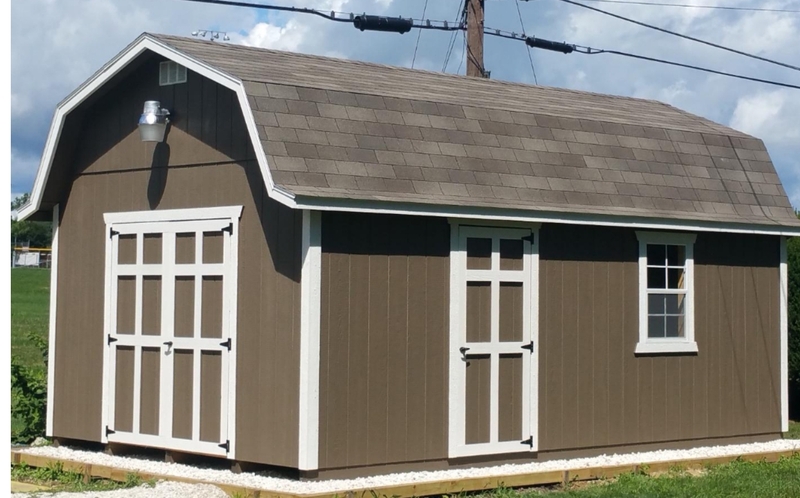 Salt Box buildings are built with the same quality components as our Gables, but with an offset peak, creating an elegant look. Valuable storage with a touch of elegance! 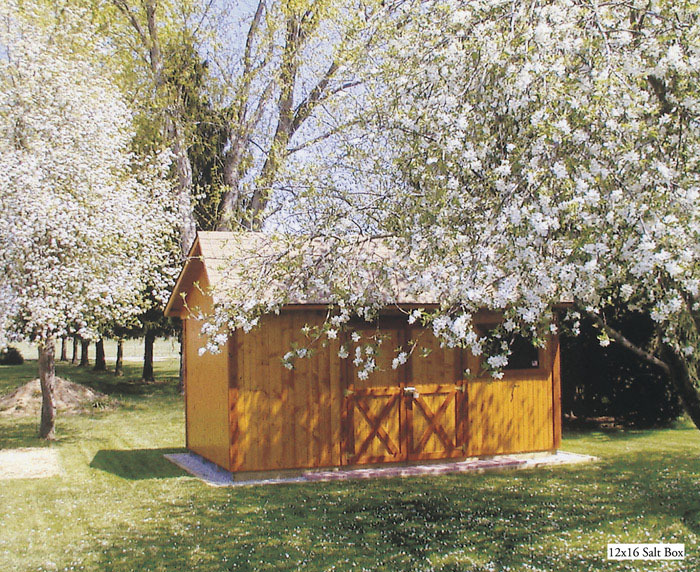 The Tack Barn is a Gable Building with an indented porch on one end only. 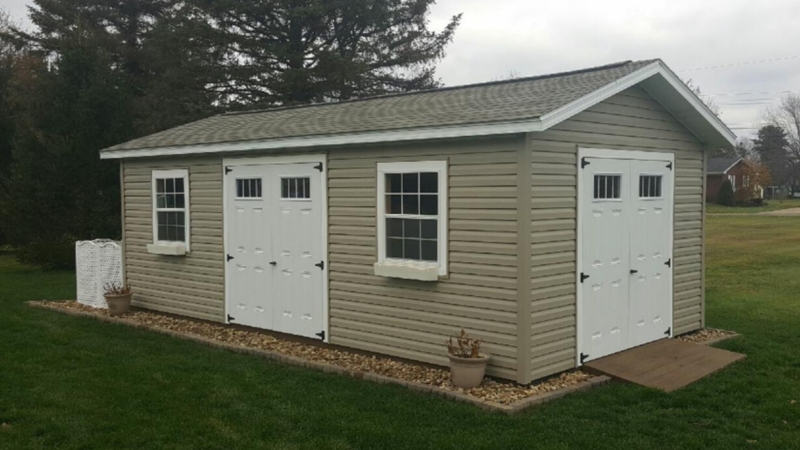 One set of double 67"x72" doors and one single 32 3/4" door included. 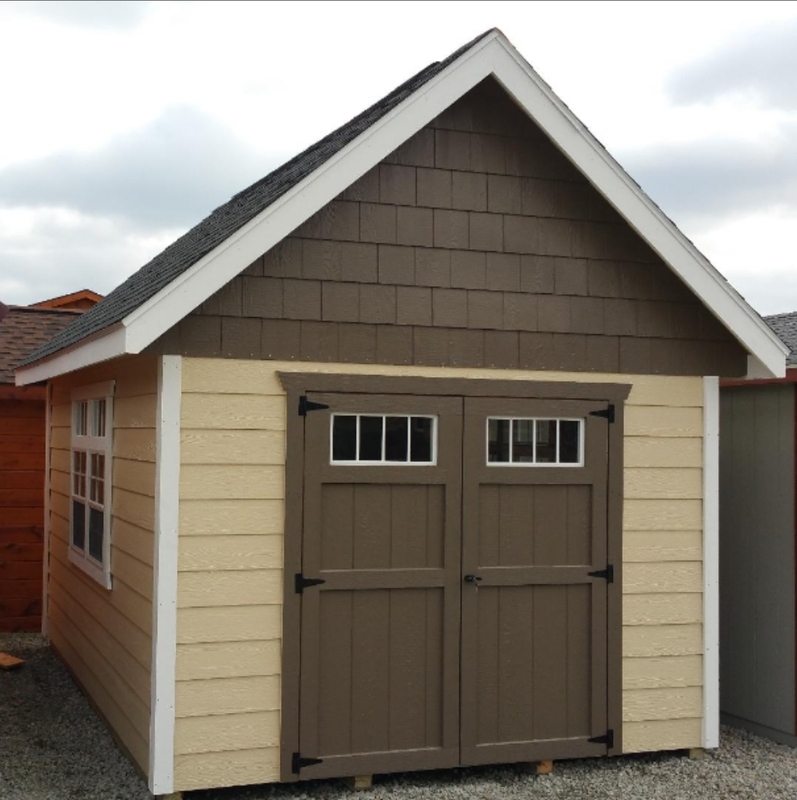 In addition to the quality components of our Gable Buildings, the Ultimate Gable sports a 6-12 roof pitch, 30-year dimensional shingles, a full ridge vent. All the upgraded components of the Ultimate Gable, PLUS a 2' overhang along the front.